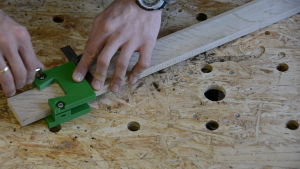 In this article we are going to create a traditional German joint (Blattstoß mit Schwalbenschwanzverbindung) my using a router and a 3dprinted template. 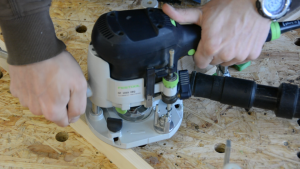 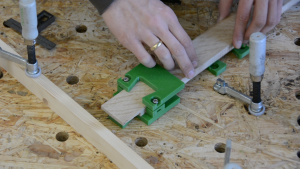 By using this jig creating the joinery becomes easy and fast – even for the beginning woodworker. 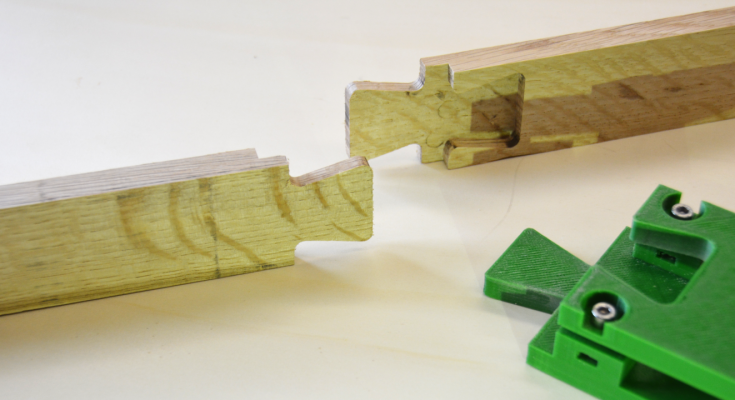 While most of my projects are inspired by a problem the inspiration for this project was the cover of a book with this joint. 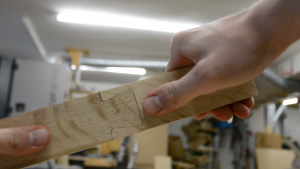 I knew immediately that I would like to be able to use this joint in my projects but I would never be patient enough to cut it by hand. 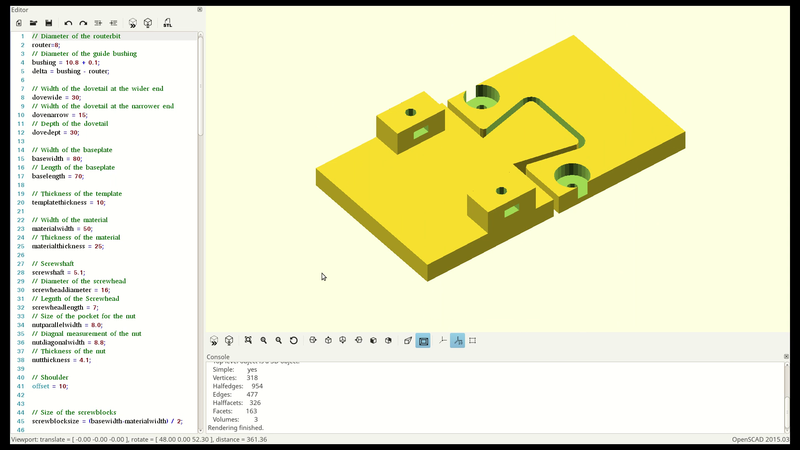 So I started up my trusty Openscad and designed a shape that will serve as a template for my router. 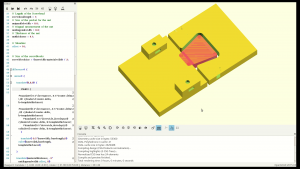 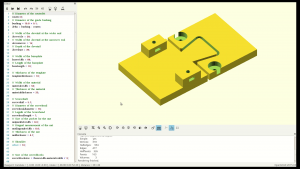 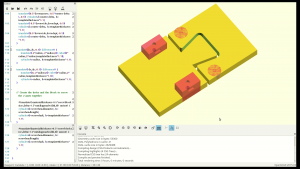 I wonˋt go through the details of the modeling but if you are interested have a look at this article where I explain some more details about how to use Openscad. Basically I created a couple of circles and combine them with a hull. For the negative form I used a larger hull and cut it out from a solid cube. I then moved the negative form a bit backwards to create a shoulder in the final piece. 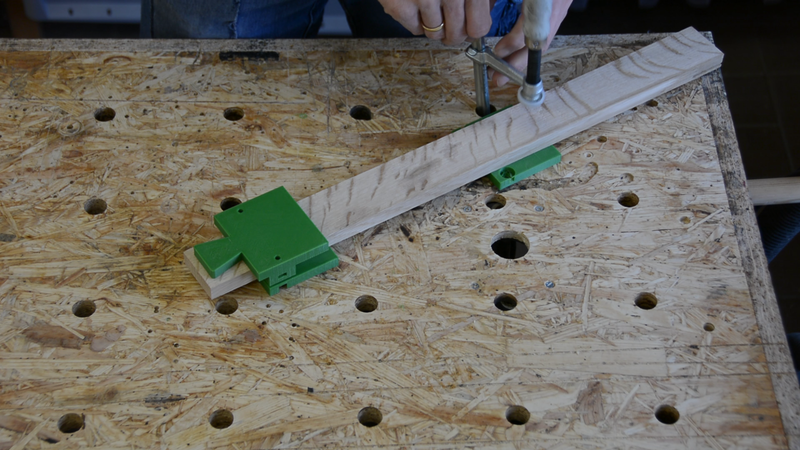 I add a few structures to clamp the jig to the workpiece. If you want to print this jig for yourself go to thingiverse and customize your own version for free with setting a few parameters, such as the width and height of the dovetail, the depth of the shoulder, size of your router bit and guide bushing and the size of the platform supporting the router. 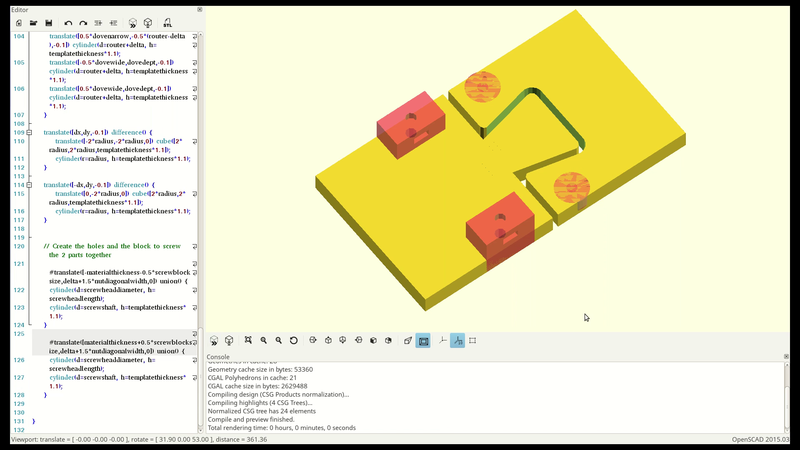 The link to the model is in the description. 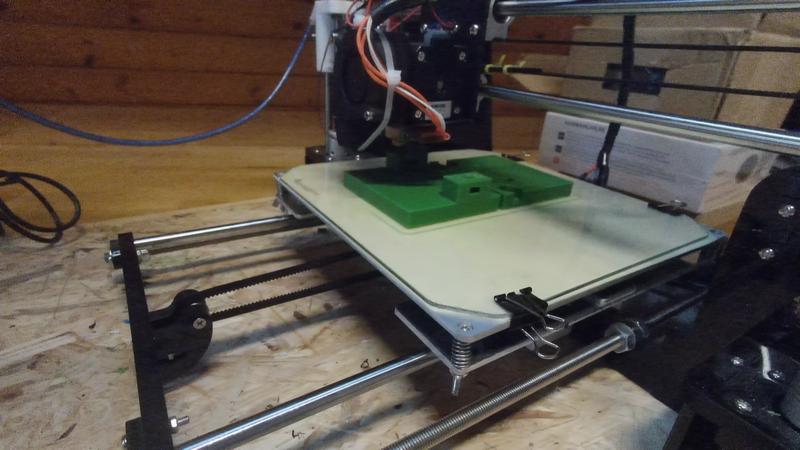 The default version is configured for M5 screws but you can also change the size in the settings. 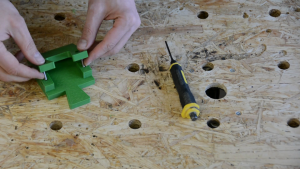 Insert the right size nuts in the slots at one part and the corresponding screws in the other part. 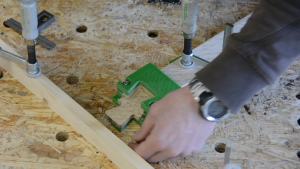 To create a joint use a combination square to place the jig centered on your workpiece and align the backside square to the stock. Now pull the screws tight. 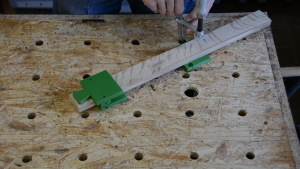 I support the workpiece with a part of a failed print that has the same thickness and on the tablesaw I’ve cut a piece of wood to the height of the workpiece with the jig attached to it to support the router. 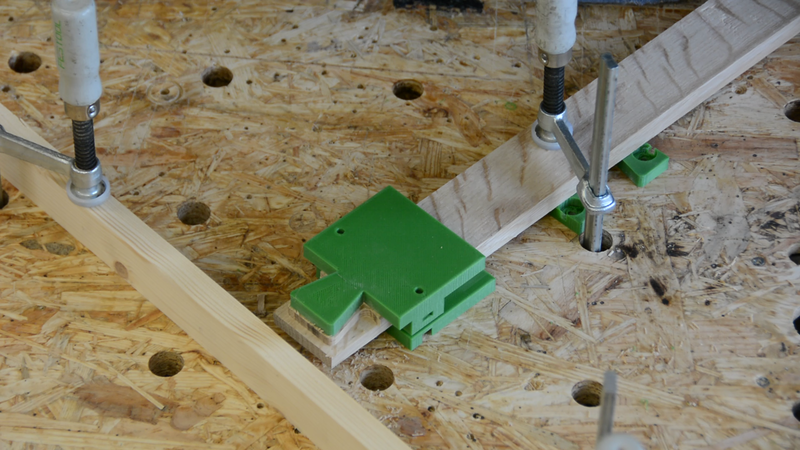 Now I use my router with a guide bushing to remove the material from both sides. And we are done. 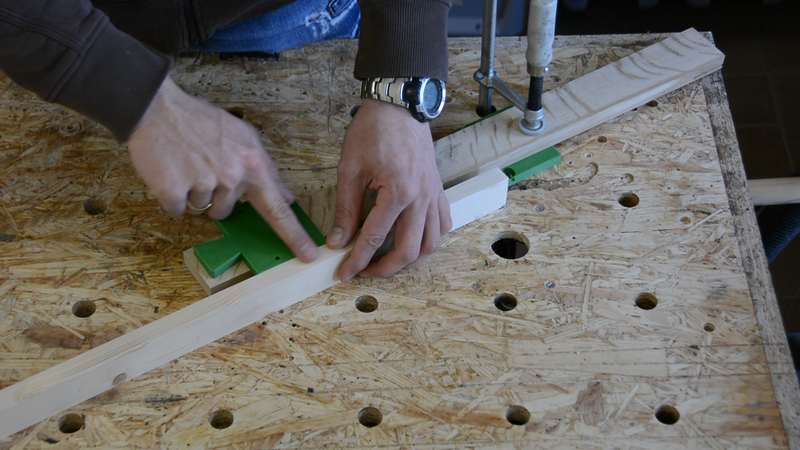 The joint can be glued together. The joint shows a small gap of around half a millimeter – which I fill with sawdust. 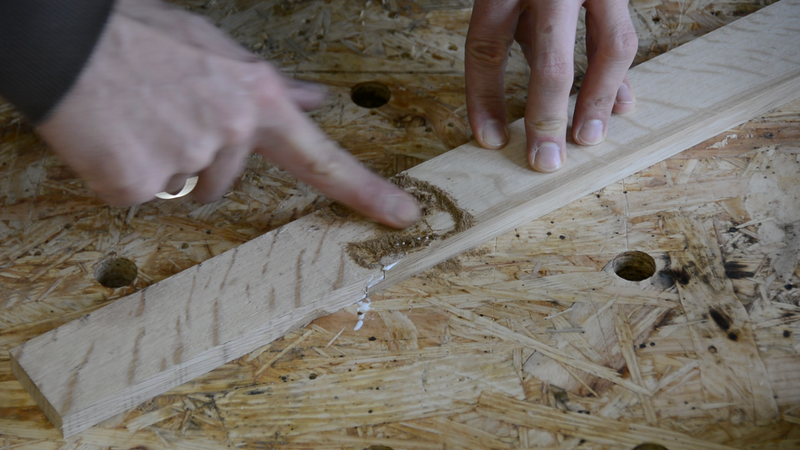 Despite the gap the joint is quite strong as there is quite some long grain to long grain glue surface.